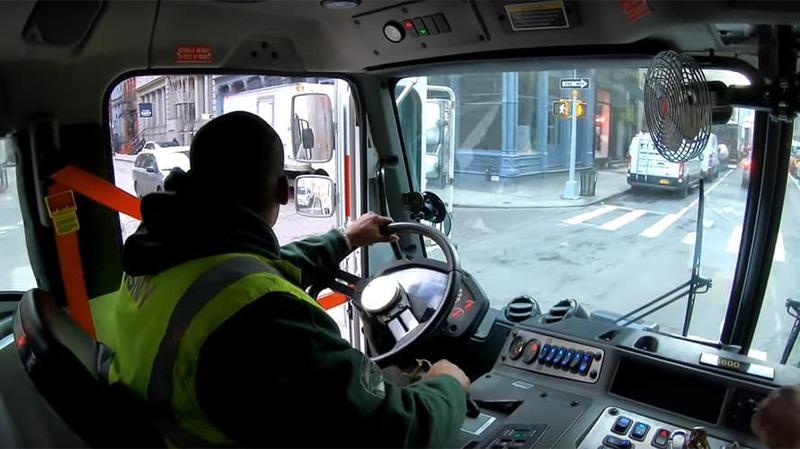 Each video in the series will shine the spotlight on several of the city's truck drivers. If there’s any occupation that’s under-appreciated in New York City, it’s probably that of a garbage truck driver. Now, Mack Trucks is aiming to change that with a docu-style video series called RoadLife, which shines light on the often-overlooked, yet highly strenuous lifestyle of truck drivers—garbage and otherwise—in the city. The first installment of RoadLife, called “The City That Never Sleeps,” features Lionel Valentine, a father who drives for the sanitation department, as well as Hector Garcia, who doubles as a pastor and a grocery delivery truck driver. Future episodes will incorporate drivers from all across the trucking industry. Mack will also leverage the company’s marketing partnerships by featuring celebrities like Oakland Raider defensive end Khalil Mack and country musician Steve Moakler and brands like Lego, Walsh said. The videos feel authentic and relatable because celebrities and truck drivers are placed on the same level, he added. The episode with Khalil Mack will include an appearance by his father, highlighting Mack’s emphasis on family values. After all, everything you use in your life was once on a truck, Walsh said. RoadLife will debut weekly on RoadLife.tv as well as Mack Trucks’ social channels. The Office of Experience in Chicago assisted with aspects of the campaign, including the RoadLife landing page. Mack is part of the Volvo group.